ONSIGHT is thrilled to be nominated at the 6th annual Technology & New Product Awards by the Advanced Imaging Society. We are being recognised for technology in virtual reality - a natural addition to our services, following the team's innovations in stereo 3D and 4K. 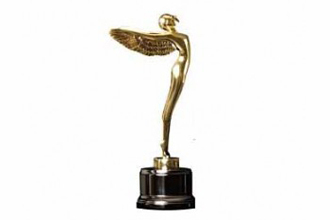 The Lumiere Award nomination covers ONSIGHT's Compact High Resolution 360-degree Live Action Capture System. Our long-standing relationship with Panasonic and the VariCam continues. See the latest in Panasonic's press release below. ONSIGHT’s camera division has agreed a deal at IBC 2015 to take shipment of the Panasonic VariCam 35, for a forthcoming feature film project. 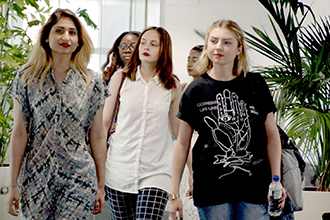 As part of BBC's Make It Digital season comes a new talent show, Girls Can Code. Radio 1's Alice Levine and millionaire entrepreneur Alex Depledge follow five selfie-taking girls as they develop their skillsets in a male dominated digital world. ONSIGHT provided camera and equipment services as well as picture and sound post. 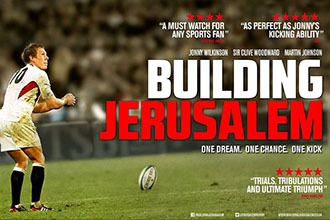 Alongside this year's Rugby World Cup comes Building Jerusalem, a new feature documentary that revisits the England rugby team's glorious campaign in 2003. New Black Films tells the extraordinary story through never before seen material, match footage and special interviews with Jonny Wilkinson, Sir Clive Woodward and the likes, using picture and sound post from ONSIGHT. Given our long history with the VariCam cameras as well as our shoot to post experience in 4K, we were only too happy to be involved in one of the first UK dramas to be filmed on Panasonic's new VariCam 35 - Swilly Girl. ONSIGHT was one of the first facility companies to test and supply this anticipated 4K camera. The crime thriller in development is written and directed from BAFTA-Award Winner Peter Nicholson, working alongside his long-time collaborator, BAFTA nominated DoP Nick Dance BSC. Peter Nicholson describes it as, "a Plymouth based crime thriller about a girl, Mia (played by Victoria Lucie), from the wrong side of the tracks.